(1) A shot of Martin in his football gear at Tufts. (2) A newspaper photograph of Martin in his junior year of high school. James Ernest “Ernie” Martin Jr. was born on March 27, 1897, in Roslindale, Massachusetts, to James Ernest Martin Sr. and Anne Giddeon. Very little is available concerning Martin’s early life experiences but it is known that he was a star athlete at his high school— Boston Latin School— and lettered in football, hockey, track, and baseball. 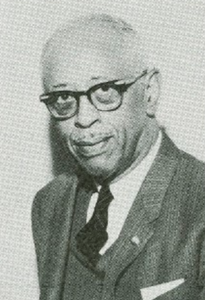 His white classmate and lifelong friend Paul Richter wrote, “He is colored but one of the most popular and well respected men in our class of 92 who took a diploma from Boston Latin, in June of 1916,” incredibly high praise for a black man given the time period. He later spent time at Colby Academy in New London, New Hampshire, before attending Dartmouth College in Hanover, New Hampshire, as a member of the class of 1920. 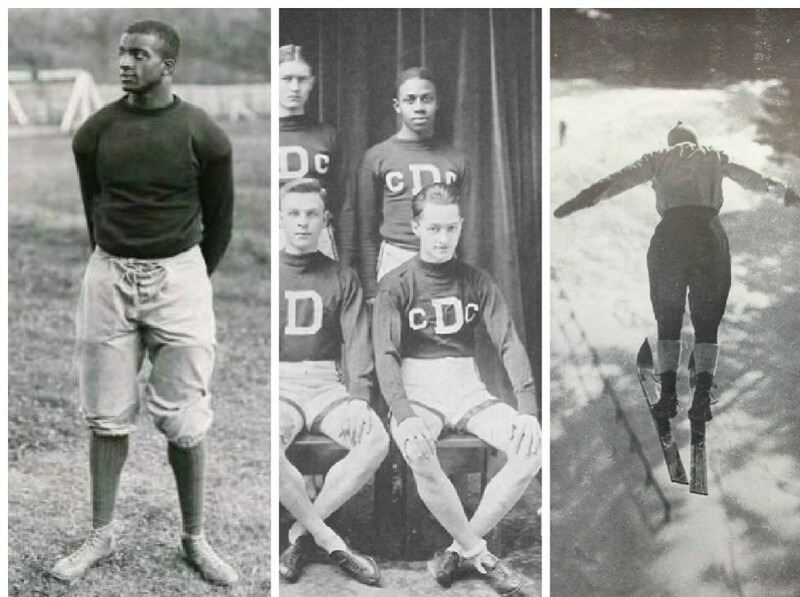 After his expulsion from Dartmouth, Martin then transferred to Tufts, where he continued with his athletic pursuits as well as enrolled in a degree for dentistry. During his time at Tufts, he was especially engaged football, lettering in the sport during four consecutive years and performing as acting captain during the 1920 season. In 1921, Martin completed his degree and graduated from Tufts. 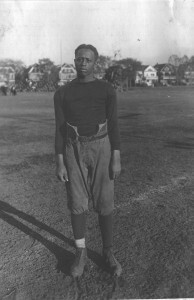 After graduating, Martin went on to practice dentistry, but maintained his passion for athletics through various football coaching jobs, including one at Lincoln University, a well renowned historically black university whose football program had gained fame in the early 1920s for its hugely popular annual Thanksgiving Classic against rival Howard University. He and his wife eventually settled in Bluefield, West Virginia, where he coached at local Bluefield State College and continued with his successful dentistry career. (3) Photograph chosen to accompany Martin’s obituary, also featured on his funeral program. 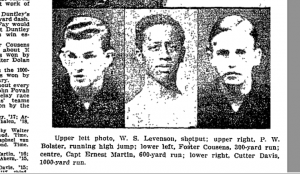 (2) “The Older the Athletes, the Better They Finished in Boston Latin’s Meet,” Boston Daily Globe, 29 January 1915, 6.